This is more of a play against the Kings rather than a play on the Pacers, but Indiana checks into this game with some strong historical trends in their favor also. For Sacramento, they are playing their 5th consecutive road game and have 3 more after this. Their road game tomorrow at Charlotte has a stronger revenge situation as the Kings and Hornets played into 2 OT earlier this year and Sac lost a tough one by 1 point. I don’t think they will totally overlook Indiana, but this is a huge trap game and the Kings are the type of team that I think will fall into the trap. Sacramento just beat Cleveland in Overtime and beat the Pistons as a 6 point road dog. That makes 2 straight up wins as a road underdog. NBA road underdogs are 2-13 (13%) SU since when coming off back to back road underdog wins with the most recent being a road dog of 10+ points and facing a team off a win, like the Pacers. Indiana played last night but they are 45-17 (72.5%) SU since 1995 with no rest playing at home and off a road win. That is straight up and not ‘ATS’, but I feel this line is short and the spot is just too bad for Sac. 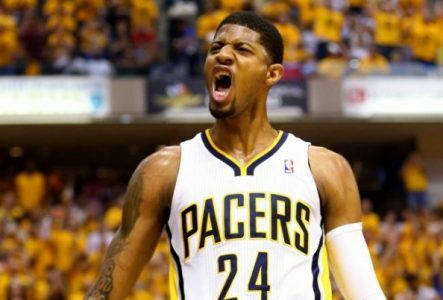 The win last night broke a 3 game losing streak for the Pacers and they are 12-2 SU and 9-3-2 ATS as a home favorite off a road win that ended a 3+ game losing streak. The Kings don’t win 3 games often. They are used to losing as they were on a 5 game losing streak before these 2 dog wins. Sacramento is due for a let down and still has a tough road schedule ahead of them. Another red flag is that both of the Kings wins are phony as Cleveland and Detroit had a higher shooting percentage from the floor. I expect the Pacers to pull away late as Nate McMillan has been preaching to his team to play the full 48 minutes. They do it here for the home crowd. Brandon’s 10* NBA Releases are 11-3 his Last 14 for a +$7.6K profit. Friday he has a BIG 10* TOTALS WINNER looking to CASH in and then get ready for the weekend. Hop on board and grab this 10* TOTALS WINNER!